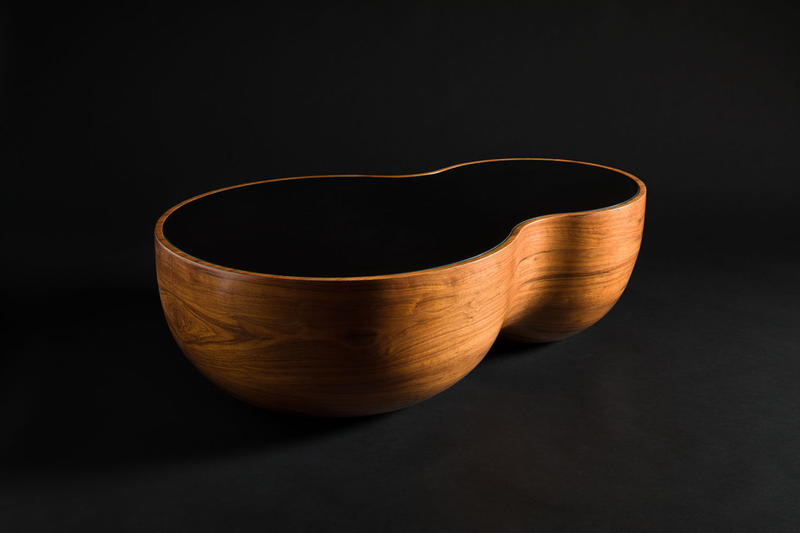 The form of the coffee table “Walnut” reminds of experiments of Scandinavian designers of the 60s. But if they worked with plastic, we prefer natural materials. The base of the table is made of MDF, the surface of which is covered with walnut veneer, while the tabletop is painted in blue and covered with glass. Functionality, art and rethinking are the main features of the coffee table “Walnut”.